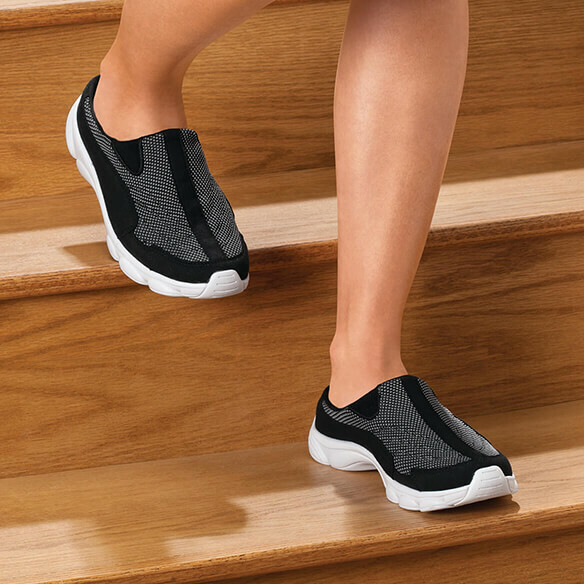 Silver Steps™ Feather Lite Everyday Clogs are perfect for the woman on the go...simply slide your feet in and get on with your busy day. 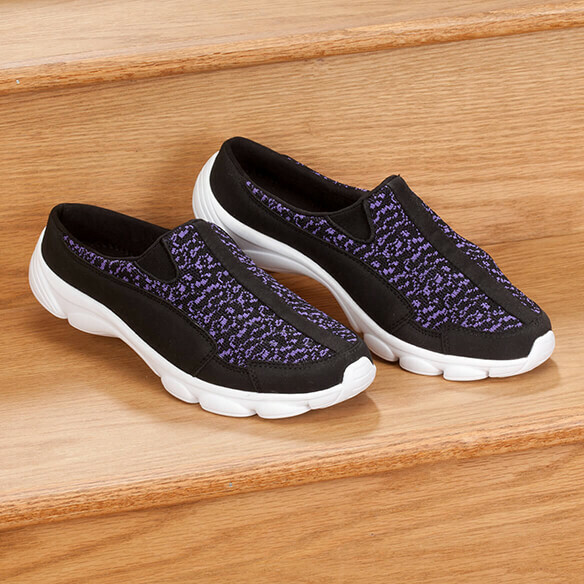 As perfect with jeans as they are with activewear, these fashionable walking shoes feature a non-slip outsole for style and confidence indoors and out. Open back and wide toe box. Slip-on shoes available in whole sizes 6–11; for half sizes, order next size up. These shoes are light weight and very comfortable. I would buy more. I have been looking for a pair of these shoes for a while . They don't look like they have a high sole. I try to stay in flats as much as possible. I am use to Easy Spirit Clogs. I have neuropathy in my feet and hoping these will help me to feel walking area since they are light weight. Need a size 9 . Size 8 too short but shoe is comfortable. Easy step into shoe & the other tie up shoe for walking! I wear a shoe which looks like these, I read about them and am going to try, much better price, the only shoe I can wear, looking forward to receiving and trying. I have had two pairs of this type of shoe and love them. They look just like these. I hope these fit and feel as good as the ones I have had. I need pair of purple shoes and these shoes are said to be very comfortable. I need a backless, comfortable house shoe. I needed new ones. Price was right. Can you get them in extra wide or wide ? BEST ANSWER: I don't think so, but they are wider than normal. My feet swell and they were still comfortable. I have to send them back as they are not wide enough for my feet. Wide width only. Fit runs smaller. 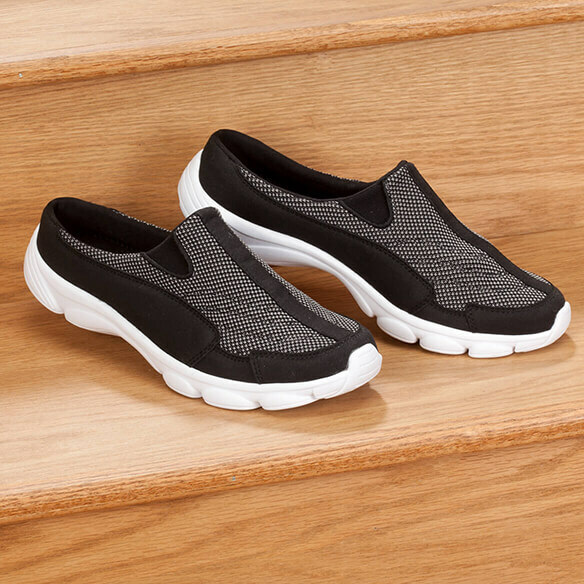 I am looking for a Sketcher's Men's Shoe with white soles, slip on or Velcro straps, in Men's Extra Wide size? What is your return policy if these shoes are not wide enough, thank you? BEST ANSWER: Thank you for your question. We have a 45 day return policy. If you are not happy with the item you will need to ship it back at your own expense. We hope this information will be of help to you. Why don't you have more wide sizes? BEST ANSWER: Thank you for your question. For wide sizes order one size up. We hope this information will be of help to you. What is the width of this shoe? BEST ANSWER: Thank you for your question. Inside from the toe is 2 1/4" outside by the toe it is 2 3/4" inside by heel it is 3" and outside by heel it is 3 3/4". We hope this information will be of help to you. No half sizes? I am 6 1/2 ? BEST ANSWER: Thank you for your question. For half sizes order the next size up. So for 6 1/2 order a size 7. We hope this information will be of help to you. I need high arch support and these are so cute. Do they have the high arch i need? BEST ANSWER: Thank you for your question. These will offer high arch support. We hope this information will be of help to you. do they come in a wide ? BEST ANSWER: Thank you for your question. These do not come in wide. We hope this information will be of help to you.